Holistic Family practice. Want your own doctor? Need your own doctor? FirstCare Family Practice is currently accepting patients. Get your own personal practitioner today! Need a physical? FirstCare does school, work, sports, pre-operative, insurance and other physicals. 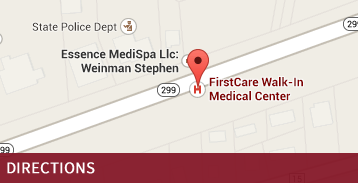 Our medical center includes Family Practice, Physical Therapy, Cosmetic Dermatology, and Digestive Disorder care. Call today! Do you have a Tick bite or Lyme related problems? Come to FirstCare today for testing and treatment. No appointment needed for Urgent Care. Open every day except Thanksgiving, Christmas Day and New Years Day. We may have limited hours during other holidays or severe weather conditions so please call our office before coming to FirstCare if you have any questions. Our family practice is open weekdays and has family practitioners available for all your medical, pediatric and gynecologic needs. We also offer a comprehensive occupational medicine program, weight loss and smoking cessation, suboxone treatment and medical marijuana certifications. Hudson Valley Web Design by J.T.S. Design, Inc.